Charley G's is a Lafayette favorite known for grilling aged beef & fresh Louisiana seafood over southern hardwoods. The food at Charley G's is driven by Southern inspiration and the menu changes seasonally with local seafood & produce. The casual yet upscale atmosphere has a bar area with live piano music Wednesday through Saturday & happy hour Monday though Friday from 4:00-7:00 pm. Charley G's also offers a wide assortment of specialty liquors, liqueurs & wines. Once a month Charley G's hosts a wine dinners that features wines from various regions and uniquely paired cuisine. Great happy anniversary card signed by the staff! Great ambiance, great fresh quality food, and be professional service in town. Consistently a great experience! One of the top restaurants in Lafayette. Great place. Nice dinner date with my wife. Charley G’s is always a nice, classic steakhouse atmosphere. The open kitchen allowing for a slightly smoky smell (to get your mouth watering for your incredible filet of either beef or fresh fish), the classically dressed waiters paying just the right amount of attention to your needs, the live piano and singing in the bar area, the manager stopping by every time I have eaten here to make sure everything is to your satisfaction: it all adds up to a place I frequent for table dining, with just the right mix of mood setting wood paneling and colorful accents and understated decoration. Our service and food was outstanding! Great suggestions from our server. A friend in Lafayette recommended Charley G’s and I can’t thank him enough! The whole experience was very pleasing. Service was highly professional and knowledgable. When I queried the server about a suitable wine pairing for the Chef's special she was unsure but immediately consulted with chef. Food and presentation were both excellent. We were in town and interested in a local restaurant to dine. We had a wonderful time. 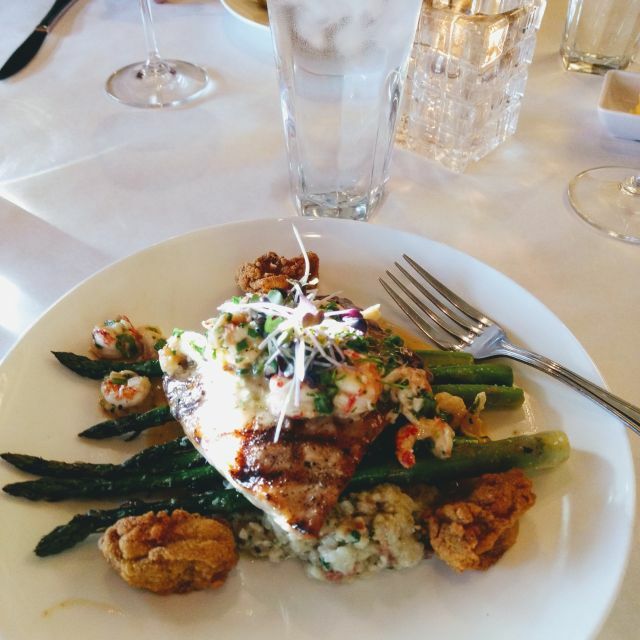 The food was delicious, staff was helpful and experienced, the setting was relaxing upscale casual. We will be back. I am from Lafayette and this is my favorite restaurant in the area. I travel often and they are better than most fine dining restaurants in larger cities. If your from out of town this is a must to try. Great place, nice music and the food was absolutely amazing! Will definitely be going back. Everything was wonderful. The piano playing was lovely just way too loud for normal conversation. We requested 3 times for it to be played more softly or at a lower volume. Finally the message was delivered. Had the tuna tartare and it was delish! Service was great! Josh and Jarred was outstanding..Jarred suggested a great wine..and not to mention the dish selection!! I dined at Charley G's with my Louisiana family and with two visitors, one from Quebec City and one from Montreal. The visitors were very impressed with the cuisine and the service. They said that Quebec is known for its fine restaurants, but that Charley G's cuisine and service was the equal of the fine restaurants of Quebec. My favorite meal in Lafayette Louisiana. The staff are extremely professional and the food sublime. This is our “go to” choice for special occasions. The ambience is that of somewhere outside of the hustle and bustle. 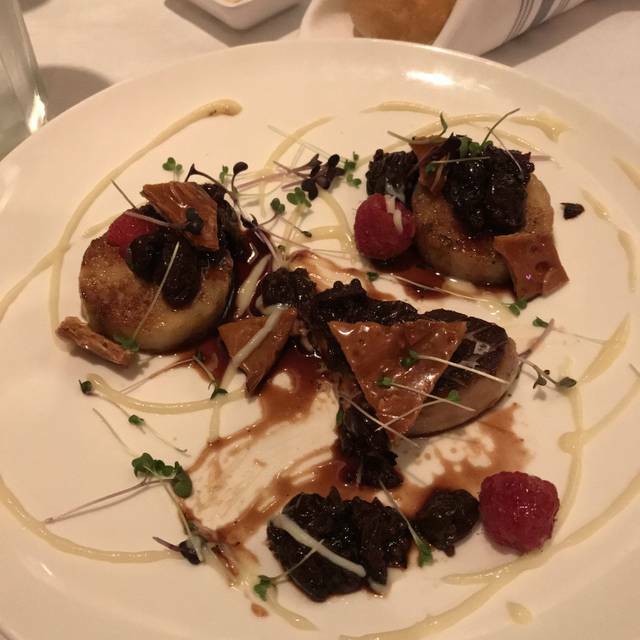 Service is impeccable and food delicious. Everything was amazing from start to finish. We don’t do a traditional Valentine’s celebration, so a week later we decided to go out for a nice dinner together. The pork belly lettuce wraps and filet Oscar keep me coming back to this place. The duck was good, but not spectacular. The winter house salad and turtle soup were also both delicious and hit the spot. As always, exceptional service and food. Save room for dessert. The service and food were great. Everything from the duck and tasso spring rolls to the bread pudding was delicious. Cocktails were on the mark, too! Will definitely be visiting again soon. Great as always. Food on point, great apps and drink selection. Charley G’s is always a great experience. They go out of their way to provide excellent dining. Ladies’ Lunch on some Fridays is a treat, despite the abnormally high noise level and extra stress on the kitchen and the wait staff. Although living elsewhere for decades, Charley G's has been our go-to eatery when in Lafayette. This place is not exactly "Cajun", but offers excellent eclectic offerings, including first-rate steaks and great duck/andouille gumbo. There are a few fresh seafood dishes. Steaks are steakhouse quality. Our favorites are the Thursday lunch meatloaf, CB's, and the oso bucco with squash & corn casserole. Pastas, especially shrimp scampi, are excellent. If you want bread, just ask. Menu changes seasonally, with frequent "specials". There is nothing bad under Charley's purview. The piano bar is wonderfully relaxing and is usually open mid-afternoons while the kitchen is closed. Plenty safe parking, a few shaded spots. Reservations recommended. Charley's clientele is mostly long-term regulars from the city and adjacent parishes. Tourists are welcome. One cannot go wrong at Charley G's ! Charley G’s is my longtime favorite place to do lunch or dinner. Delicious food, great service never disappoints!!! I enjoyed my dinner at Charlie G’s, everything was so smooth and easy going! Excellent restaurant with a great atmosphere. Wonderful for special occasions. After all the years, still serves superb food with excellent service and ambience. Had Baronda fish special which was terrific. Duck gumbo was not what it used to be since original gumbo chef has apparently passed on. Perfect drinks, very good wine list. A real standout in Lafayette. Everything was excellent! Love celebrating special occasions at Charley G's. Food was great and loved the music. Without a doubt the best gumbo in the country. Lunch with girlfriends. Who could ask for a better experience! Exceptional food and atmosphere . Highly recommend for upscale dining.